Thank you for visiting Beating Benzos. 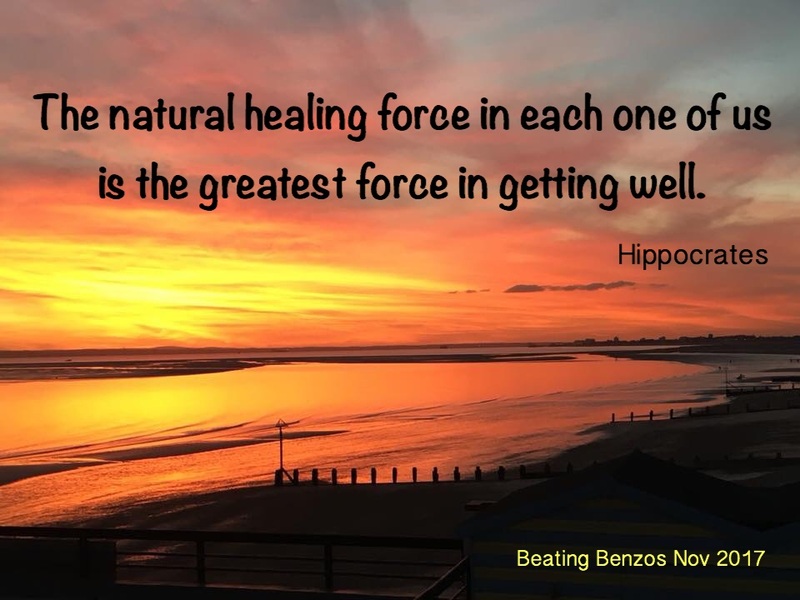 This site was created to provide information, help and encouragement for those who have been prescribed benzodiazepine drugs and are in the process of tapering from these or have already withdrawn. Please read My Drug History for full details of the drugs I was prescribed over the years. I started my journey on Nitrazepam, a benzodiazepine prescribed by my doctor for sleep problems, forty years ago. This is my story and how I am slowly conquering an intense and difficult withdrawal. My passage through those years is told in My Story. Extracts from my daily journals are also included. Blog pages 1 to 7 form my on going recovery journey from April 2014, seventeen months after I stopped the drug (when I finally felt well enough to write) to the present day. Please use the Blog Index to directly access the older posts you would like to read. I hope the pages contained here will provide everyone with belief and inspiration that this difficult journey does eventually end however long it may take. Always remember many thousands have travelled this road before you and recovered. It all ends, it really does. 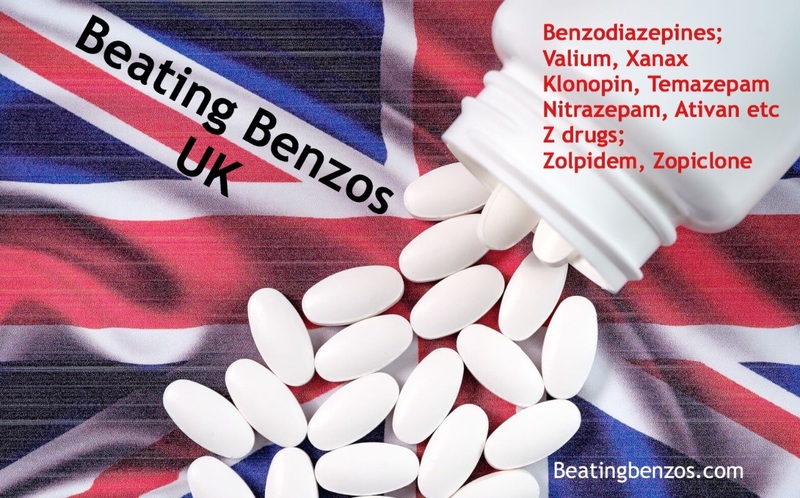 You are welcome to join the Facebook group linked to Beating Benzos. The group is closed so please log into Facebook with your account and request permission to join. When accepted into the group please write a brief history of your own experiences with benzodiazepine drugs so you can be welcomed. 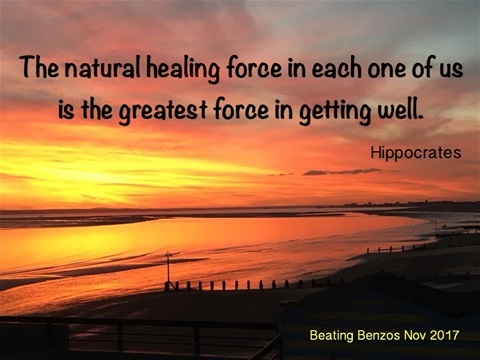 I am now 73 years old and have been suffering benzo withdrawal symptoms for the last eight years during my development of tolerance to the drugs and eventually stopping them in November 2012. I'm an educationalist and for the years previous to my retirement in 2003 I ran my own small, private school. I now wish to help others as much as I can because so little is recognised or understood by doctors and psychiatrists. The only real support I have received is from people suffering in the same way or from those who have endured the process and made it through. My story continues up to the present day on Blog Posts/8. It's being told just as it is for me but please remember everybody's pattern of symptoms is different. At this stage of six years off benzos I am mostly recovered and very much better. I have no doubt I will fully heal so please read the Inspirational Words. 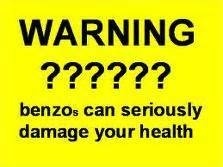 Any questions on any post you are welcome to ask on my Facebook group Beating Benzos.